This character is from the upcoming B-movie. He needs to be less of a punk, tone it down a lot. Make one personality just pouty and the other one a punk. Still, your actor needs to be a lot more restrained, it looks like a spoof so far. Thank you Mr. Briggs Inc. for checking-out our clip and for your feedback. Hey, what's this guys MO. Looks like he ties up his victims and then annoys them to death. 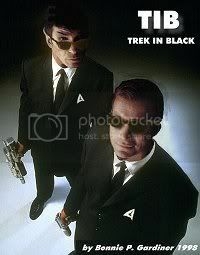 Like Trekgeezer said, I think this bad spoof would annoy anyone to death. Thanks to everyone who commented so far. Hey "Allhallowsday" what's up, just curious, have you ever Directed,Produced,Written a b-movie or maybe made a camcorder recording of some sort,or are you just a fan of them, "just watching from the side lines." That said, I always appreciate the HARD WORK that goes into making even bad cinema. Maybe not the finished product, but I admire the effort. The clip you posted seems to be gone now, but when I viewed it I remember thinking it was "meh." I sent PeliculasCaseras a pm thru their own youtube page. He has an interesting clip on his page there, but it looks like he got discouraged and has abandoned us. Badmovie lovers are great; thx REV. I sent PeliculasCaseras a pm thru their own youtube page. did you inform him that Evil Dr. Taloc was coming? That's one of his signature characters. He once spammed his own video with numerous comments of "Evil Dr. Taloc is coming..."